Professional dentists with friendly services - Providing a comfortable Dental Treatment. 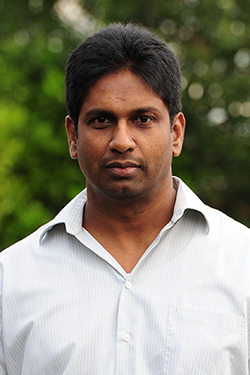 Dr. Mathy was born and raised in Sri Lanka. He graduated in 1995, with Bachelor of Dental Surgery. Upon completion he worked for various public and private hospitals throughout Sri Lanka. During this time he undertook innovative dental initiative such as conducting Oral Dental Survey for the United Nations Development Program, contribution towards Oral Health Training Program for health practitioners and providing Oral Health Care education to schools and local communities which was supported by Ministry of Health in Sri Lanka. Dr Mathy has 20 years of professional dental career experience working in public and private sectors. 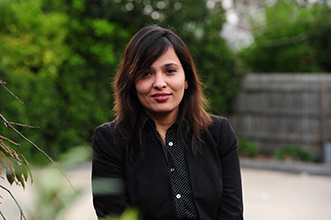 In 2002 Dr. Mathy became a registered dental practitioners with Dental Board of Australia. In 2005 he established A Better Dental Care practice offering quality dental care for the local community. He is a member of the Australian Dental Association and has a strong interest in keeping updated with the latest development, especially in Full Mouth Rehabilation, Management of Sleep Disorder, Implants and Veneer. In 2010, A Better Dental Care was nominated and won the "Casey Business and Professional Services Award" for their continuous commitment towards excellent dental care service and patient care. Dr Thamarai graduated as a general dentist from University of Peradeniya, Sri Lanka in 1990. She has practiced in several different private clinics in Sri Lanka and carried out general dental procedures. Dr Thamarai is a registered member of the Dental Board of Australia and is a member of the Australian Dental Association. She has a strong interest in orthodontics and in 2012, she completed her orthodontic studies through Progressive Orthodontics Seminars. Dr Thamarai is currently available for orthodontics treatment at A Better Dental Care. 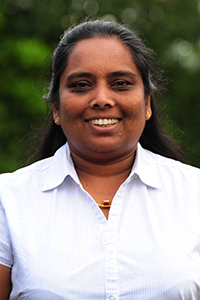 Dr Thamarai is a mother of three and is a compassionate practitioner who understands the patient's need. She always strives to deliver the highest quality of care for her patients. We are certain that your experience with her will be pleasant and comfortable. Dr Sandeep Arora graduated from Bachelor of Dental Science from University of Patiala, India and is registered as a dentist with the Dental Board of Australia. He furthered his education in surgical specialist and completed MFDS RCS Ed, Scotland in 2013. 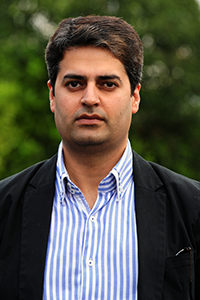 Dr Sandeep joined A Better Dental Care in 2010, He has a vast experience in both general and advanced dentistry. This includes providing services in Fixed Prosthodontics, Endodontics, Oral Surgery and Laser Whitening. He ensures patient satisfaction by discussing and elaborating treatment plan and procedures with patients. Dr Jasdeep Sangha graduated from Bachelor of Dental Science. She joined A Better Dental Care in 2011 and enjoys all aspects of dentistry especially treating children and families for their ongoing dental needs. This includes preventative dental care for the whole family and dental advice tailored for children. Dr Jasdeep is a gentle and caring dentist who has helped many people to overcome their dental phobia. She provides high quality dental care, which is tailored to individuals. Dr Jasdeep had become an instrumental contributor to the Dental team at A Better Dental Care, bringing her passion to work with kids and making A Better Dental Care a kids friendly environment. 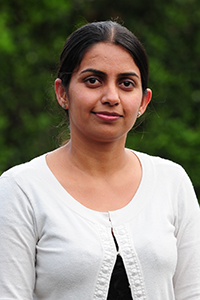 Shruti has a dental background and joined A Better Dental Care as a dental assistant and is now the Practice Manager at A Better Dental Care. She is the central person responsible for the coordination and the smooth running of the practice.